Most people are probably aware that World Market and Central Market will sell beer by the single bottle, or in a mix-n-match six pack, but I thought I would mention it in case someone did not. It is a little more expensive per bottle than a per six (or four) pack price. However, it is a good way to try a beer you heard about, to sample several beers from a particular brewery or sample several beers of a particular style. 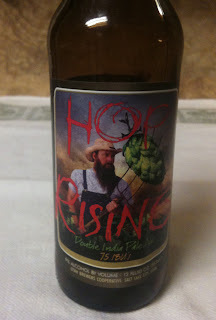 Tonight I am going to try a beer from a brewery with which I am completely unfamiliar that I picked up at World Market. With most of the others I have sampled so far, I have either tried a beer from the brewery previously or at least knew a little about them. Tonight's beer is a Hop Rising Double India Pale Ale from Squatters Brewery. It's a twelve ounce bottle, which shows 9% ABV and 75 IBUs. This IPA pours with a medium to thicker head. It has a nice golden honey color, with maybe just a little reddish/brown shading. The aroma is what I usually expect from a higher alcohol IPA, with some hops and citrus, and a bit of sharpness to the aroma. 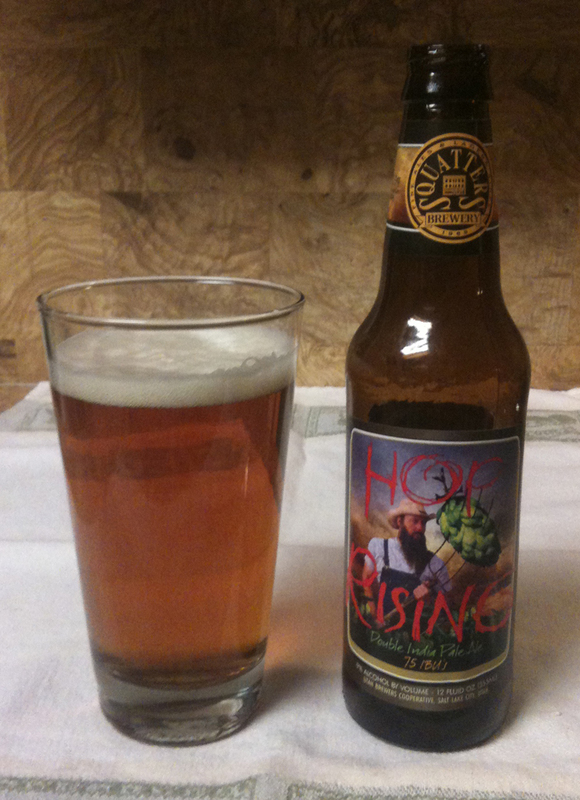 There is a nice hoppiness and a little citrus, and some malt. A bit of spiciness on the tongue. The aftertaste is a little bitter and definitely spicy. I usually like these higher alcohol IPAs (like Dogfish Head 90 Minute IPA and Ska Decadent Imperial IPA), and this one is very nice and along those lines.